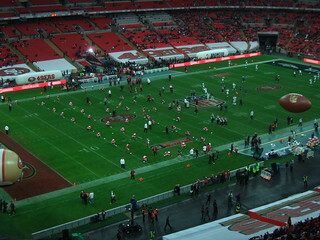 So having the taste of a live NFL game after going to the 2009 Super Bowl in Tampa, I got tickets to the Bronocs-49ers game at the new Wembley. It was a pretty awesome show. I was high-fiving everyone after every touchdown like you do!